This site is for your personal use only. You may not distribute, exchange, modify, sell or transmit anything you copy from this Site, including but not limited to any text, images, audio and video, for any business, commercial or public purposes. As long as you comply with the terms of these Terms & Conditions of Use, Valley Windows & Conservatories grants you a non-exclusive, non-transferable limited right to enter and use this Site. You agree not to interrupt or attempt to interrupt the operation of this Site in any way. 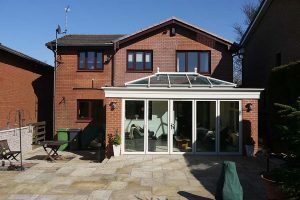 Valley Windows & Conservatories may add to, change or remove any part of these Terms & Conditions of Use at any time, without notice. Any changes to these Terms Conditions of Use or any terms posted on this Site apply as soon as they are posted. By continuing to use this Site after any changes are posted, you are indicating your acceptance of those changes. Valley Windows & Conservatories may add, change, discontinue, remove or suspend any other Content posted on this Site, including features and specifications of products and/or services described or depicted on the Site, temporarily or permanently, at any time, without notice and without liability. Your use of this site is at your own risk. This site (including all content and functions made available on or accessed through this site) is provided “as is.” to the fullest extent permissible by law, with regard to the content on this site, Valley Windows & Conservatories makes no representations or warranties of any kind whatsoever (1) for the accuracy, merchantability, fitness for a particular purpose or non-infringement of any content published on or available through the site, (2) that the server that makes this site available is free of viruses or other components that may infect, harm or cause damage to your computer equipment or any property when you access, browse, download from or otherwise use the site. Under no circumstances, including but not limited to Valley Windows & Conservatories negligence, shall Valley Windows & Conservatories be liable for any consequential, direct, incidental, indirect, punitive or special damages related to (a) the use of, (b) the inability to use or (c) errors or omissions in the contents and functions of this site, even if Valley Windows & Conservatories or an authorised representative thereof has been advised of the possibility of such damages. 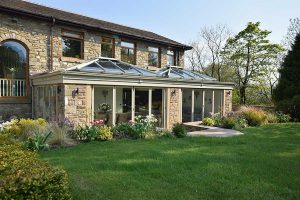 These Terms & Conditions of Use and any additional terms posted on this Site together constitute the entire agreement between Valley Windows & Conservatories and you with respect to your use of this Site. Any cause of action you may have with respect to your use of the Site must be commenced within one (1) year after the claim of action arises. If for any reason a court of competent jurisdiction finds any provision of the Terms & Conditions of Use, or portion thereof, to be unenforceable, that provision shall be enforced to the maximum extent permissible so as to effect the intent of this agreement, and the remainder of these Terms & Conditions of Use shall continue in full force and effect. These Terms & conditions of Use shall be governed by and construed in accordance with the laws of the United Kingdom. Personal information is collected by Valley Windows & Conservatories. We collect personal information from you through the use of enquiry and registration forms and every time you e-mail us your details. We also collect information automatically about your visit to our site. The information obtained in this way, which includes demographic data and browsing patterns, is only used in aggregate form. The Valley Windows & Conservatories website contains links to other sites. Please be aware that Valley Windows & Conservatories is not responsible for the privacy practices or content of such other sites. This privacy statement applies solely to information collected by this website. Given that the internet is a global environment, using the internet to collect and process personal data necessarily involves the transmission of data on an international basis. Therefore, by browsing the Valley Windows & Conservatories site and communicating electronically with us you acknowledge and agree to our processing of personal data in this way.